Calling all Installers in WA! For more info contact Tilers Express WA on Tel: (08) 6388 8988 or LATICRETE on 1800 331 012, or email your invoices here. 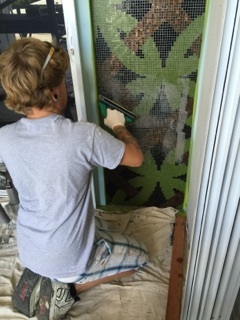 Paul Pearman is an accomplished mosaic artist, who works out of his studio in Augusta, Georgia. Known for his attention to detail and also for using the tiniest of mosaic tiles within his creations, Pearman’s projects can range in size from miniscule to mammoth. 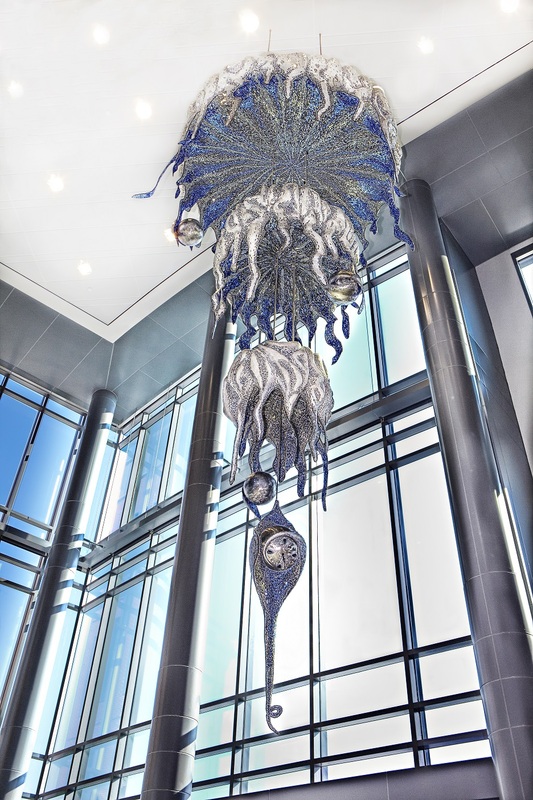 “From small projects such as mosaic designs on belt buckles to immense projects such as three-dimensional mosaic-clad hanging chandeliers, I want my artwork to be of the highest quality. And, I want the designs I create to last for generations. That’s why I depend on the LATICRETE System. 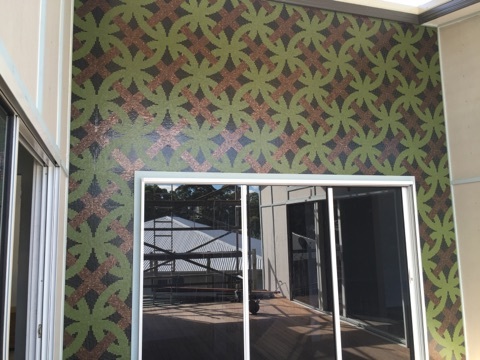 There is no other product line which offers mosaic tiles the bonding strength of LATICRETE materials.” - Paul Pearman. The foundation of the actual sculpture was built of steel, and was then covered with carved foam and fiberglass materials. 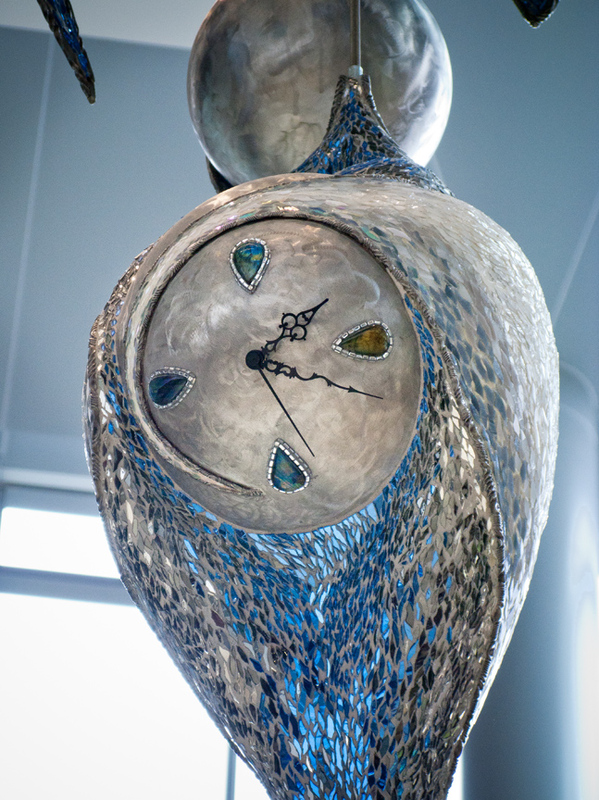 Thousands upon thousands of pieces of reflective glass and metal, some extremely minute, were cut with tiny nippers and then bonded via LATICRETE materials to the structure’s “body,” all by hand. Click here to read the full Project Spotlight. For more on Paul Pearman's artwork head to his website. In a Technical Article featured in Tile Today #81, Fred Gray, LATICRETE Australia Technical Service Manager, provides an informative discussion about spot bonding with the right adhesives. 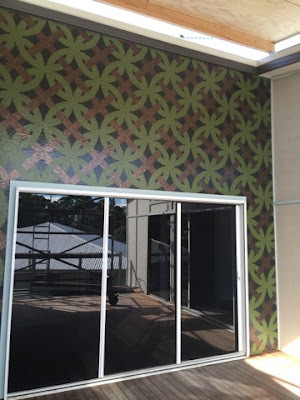 "As tile format get larger, the need for straighter, flatter and truer substrates increases to ensure the installation meets the required finished tolerances. 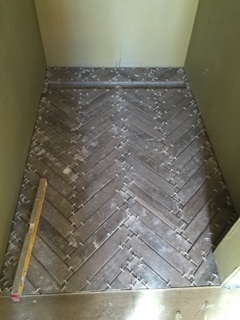 Tilers are often faced with substrates that were never built to deliver this required flatness for tiling but are still expected to deliver a great looking job despite this. For some, the answer with large format wall tiling is to spot bond the tiles to the surface to help plumb and true the installation. 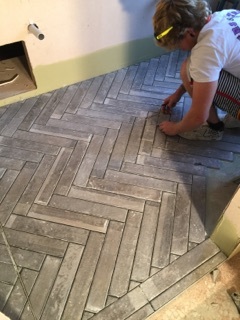 This is a technique where thick daubs of cement based adhesives, which are not designed to be used in this way, are applied to the back of the tile, generally four or five places, to help plumb the tile accurately. 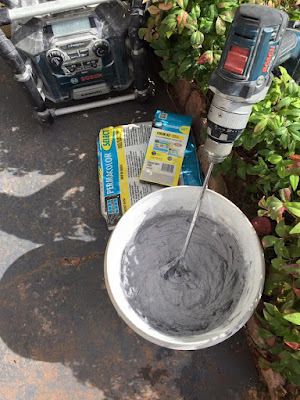 However this method of fixing with cement based adhesives is not recognised and in fact has led to many tile installation issues, particularly external ones. LATAPOXY 310 Spot Bonding Adhesive however is designed to be used in this way. Now you can spot bond tiles in many situation that were not possible before and is also suitable for substrates that require up to 20mm correction! Originally designed to replace mechanical fixing, it can also be used to overcome those nuisance out of plane substrates." Click here to continue reading the published article. 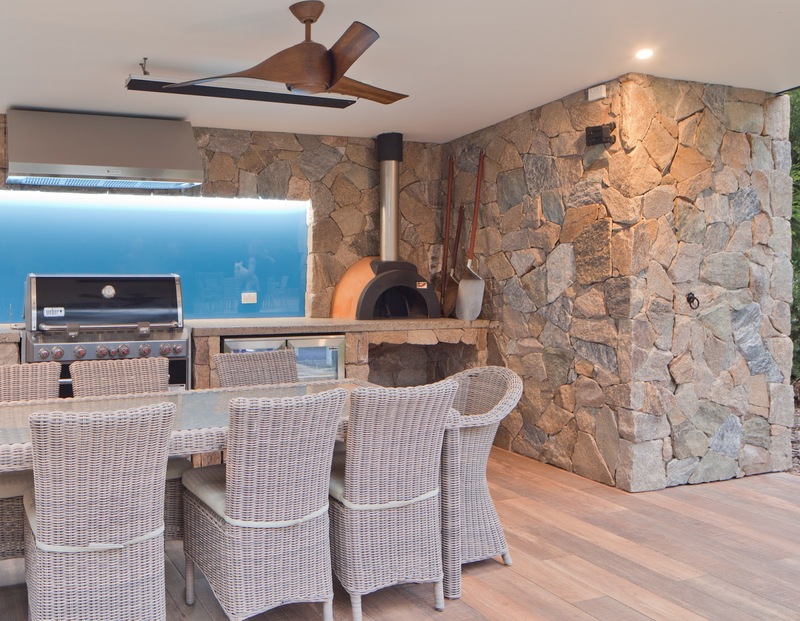 Contact our Technical Support team on 1800 331 012 to discuss your next project contact us here. A Project With the WOW Factor! This incredible water feature and pool was installed in San Marino, USA. 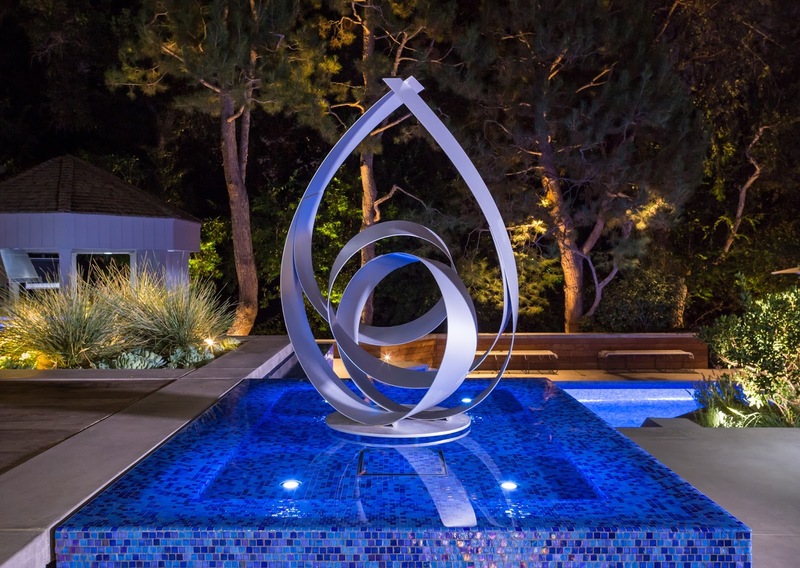 It was designed by Alison Terry, Terry Design, Inc.. Jimmy Reed from Rock Solid Tile, Inc. carried out the pool installation, where glass mosaics were installed using the LATICRETE pool installation system. The results are absolutely stunning! If you are planing a pool project in the near future, LATICRETE has the perfect Pool, Spa and Fountain Tiling Systems brochure for you. Click here to view/download the LATICRETE Pool, Spa and Fountain Tiling System Brochure. Have You Entered our Competition?! 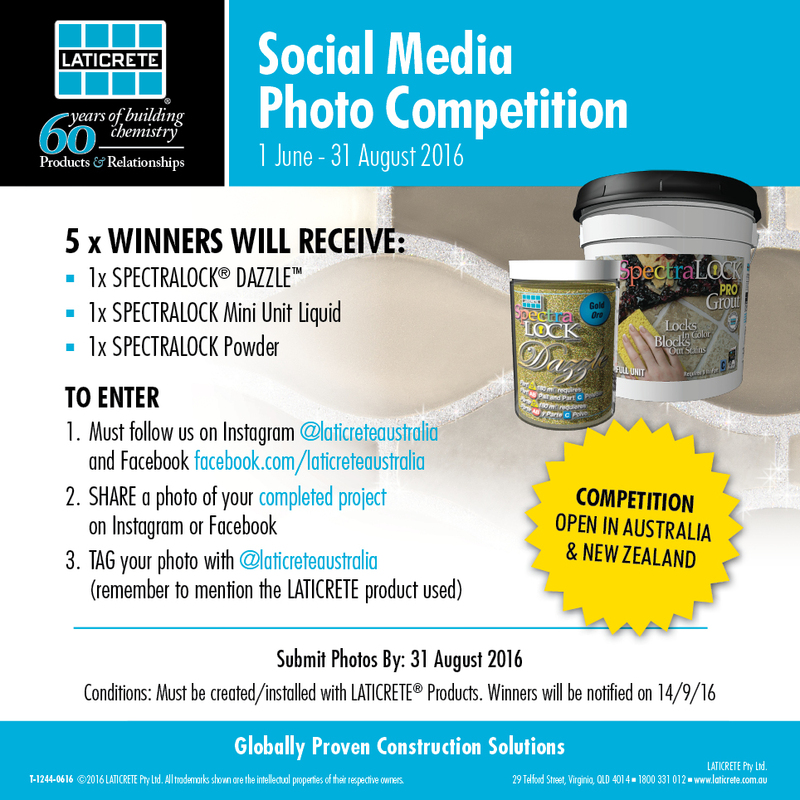 Want to WIN LATICRETE Products? 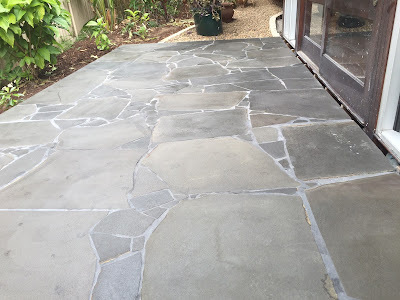 "The finish on it was second to none and an awesome clean. Zero haze afterwards" - Gareth O'Shea from Precision tile and stone. Do you want a high performance cement based grout that offers colour consistency, minimises efflorescence and minimal wastage? Then you want PERMACOLOR® Select! PERMACOLOR Select offers the industry’s first dispersible dry pigment solution and is designed for virtually all types of residential & commercial installations; offering optimum performance on the most demanding exterior or interior applications - ready for foot traffic in as little as 3 hours. Easy to mix, grout and clean, PERMACOLOR Select is fast setting and the base powder can be used with any PERMACOLOR Select colour pouch. Click here for more info and to view an installation video. Contact us to discuss your next project. Want us to visit your job site or want to arrange your FREE samples? Call 1800 331 012 or email us here. 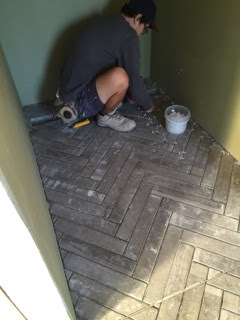 This bathroom renovation by Murray Heazlewood and his team, SEQ Tiling and Cladding, includes laying 400x75 ceramic tiles to freshen up an existing bathroom and give it new look. The team have used a range of LATICRETE products including HYDRO BAN®, 335 Premium Flexible Adhesive, and finished off with PERMACOLOR® Grout in 'Dusty Grey'. PERMACOLOR Grout offers the maximum performance available in a cement-based grout, providing consistent colour and antimicrobial protection to resist stain-causing mould and mildew. Click here to see more projects done by SEQ Tiling and Cladding. 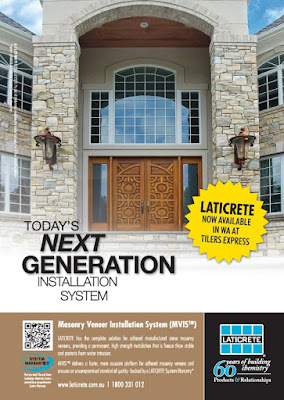 LATICRETE has provided the technology, materials & methods for innovative and permanent installations of tile and stone for 60 years. Architecturally specified and preferred by professional installers, LATICRETE provides solutions for virtually every application. The Pool, Spa and Fountain Tiling Systems brochure provides information on products engineered for the installation and application of tile and stone. An overview of each recommended LATICRETE product for pool, spa and fountain installation is provided to facilitate the selection of the appropriate adhesives, mortars and grouts for your specific applications. 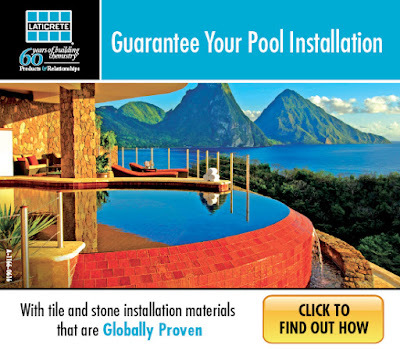 Click here to view/download the Pool, Spa and Fountain Tiling System brochure. 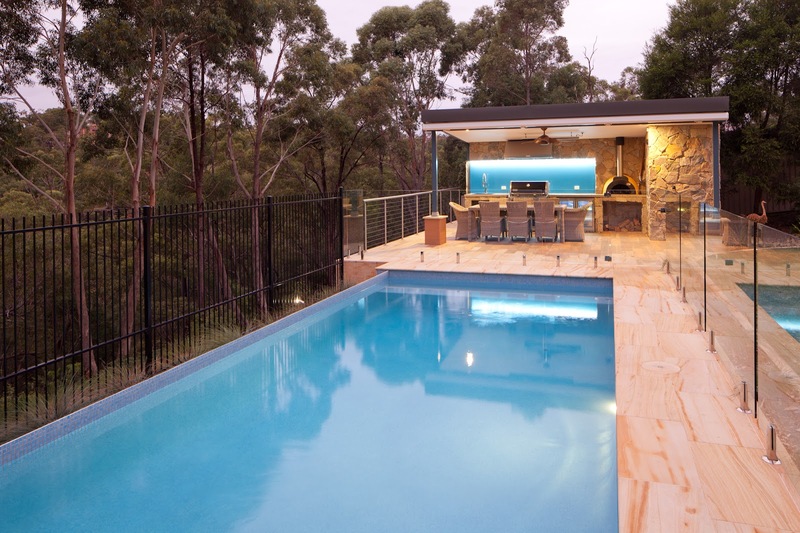 This beautiful project in Menai, NSW, includes an outdoor entertaining area, pool coping and pool surrounds. 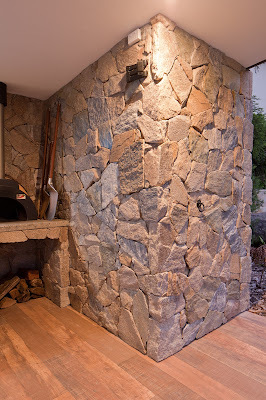 Leo Stone Random wall cladding and Teakwood sandstone, purchased from Cinajus were installed to create this amazing look. 4237 Latex Additive - a specially designed latex additive to make a high strength latex thin bed and medium bed adhesive up to 15 mm. 315 Super Floor & Wall Adhesive - a high performance thin-set adhesive to install tile and stone using the thin-bed method of installation. The installation work also included hidden light controls and a hidden room. 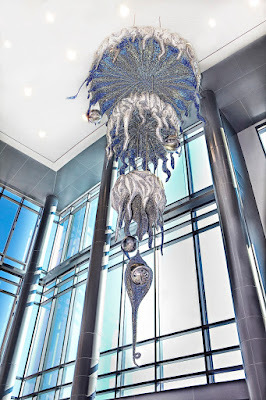 Read the full project by clicking here. Contact us to discuss your next project, visit your job site or to arrange free samples. LATICRETE Australia, Plant & Logistics Manager, Jamie Young and his wife Tamara shared updated pics of Kobe with us. Kobe Roy Brian Young is their first "little man" and the latest addition to the LatiFamily. Little Kobe is all smiles now and looks absolutely gorgeous in his LATICRETE gear! You don't get much cuter than this! Jamie and Tamara, don't you think its time to start thinking about a play mate for Kobe? 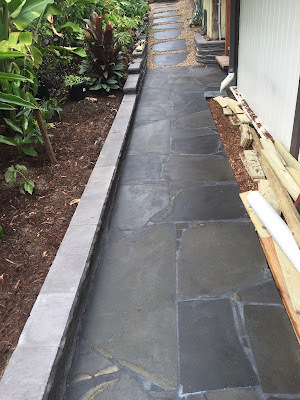 Read what Sareen Stone, your local LATICRETE and STONETECH® stockist, has to say in their blog about the new look for STONETECH! "A new & improved labelling system has been introduced for the StoneTech® Professional range & will be rolled out over the coming months. 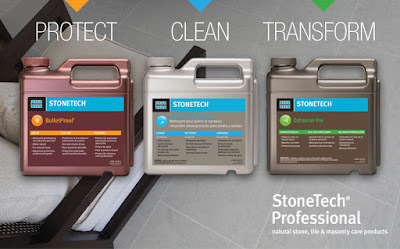 The changes have been made to help customers choose the right StoneTech product for every project. The Protect, Clean & Transform products are now colour-coded to highlight to you their intended application. For example, the ‘Protect’ range has orange labelling; the ‘Clean’ range is blue while the ‘Transform’ range is bright green." Click here to continue reading. 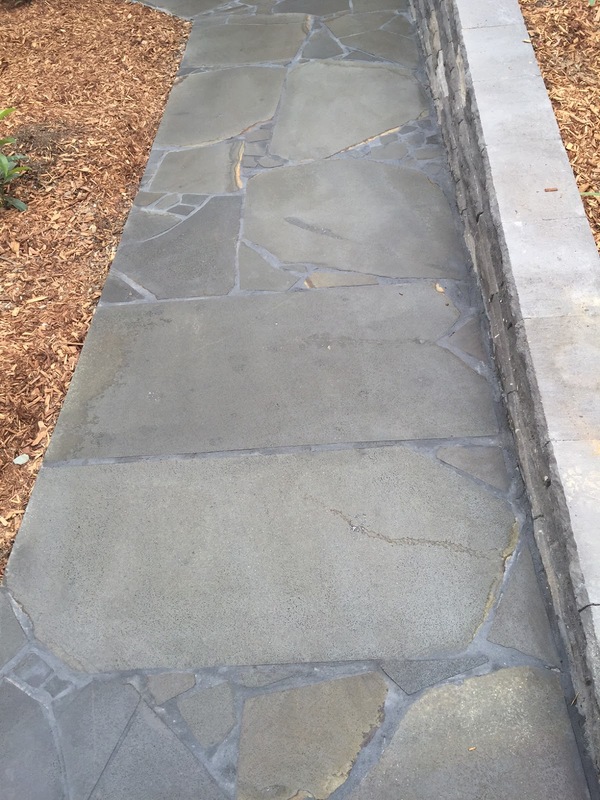 Contact Sareen Stone for more information on the STONETECH line, or contact us here. 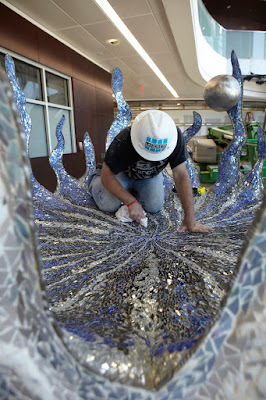 "It's 15 feet by 127 feet long and is made up of 325,000+ individual pieces. Since you helped me with a failed shower project years ago, I have used your products religiously. So of course I am using your glass adhesive to put the missing pieces back in on this project. Turns out, the school installed a plaque dedicating the mural and a brief description of it. Interesting back then the adhesive was referred to as Latacrete, a bonding cement. So 40+ years go by and I am using your products to restore it! I guess this project was just meant to be done by me. Enjoy the pictures & thanks." 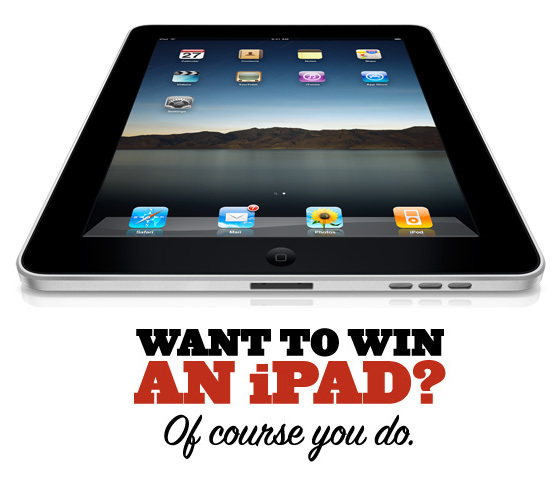 Want to WIN an iPad®? Wow - What a Stunning Wall! 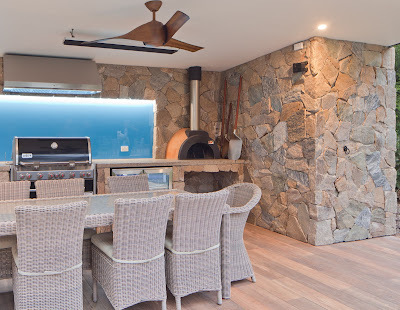 Murray Heazlewood and his team, SEQ Tilers have done it again. This amazing mosaic wall was installed at a private residence in Pottsville, NSW, at a recent Mosaic Application Day with LATICRETE QLD Technical Sales Rep, Mitchell Haw. The mosaic artwork was installed using Trend Tiles and was adhered, as well as grouted, with LATAPOXY® SP-100. LATAPOXY SP-100 - a stainless, pigment free, colourfast epoxy grout for grouting floor installations of ceramic tile, brick, and stone. Cleans with water while fresh. Can be used for interior and exterior applications. Ideal for kitchen floors, counter tops, bathroom floors, malls, cafeterias, and laboratories. 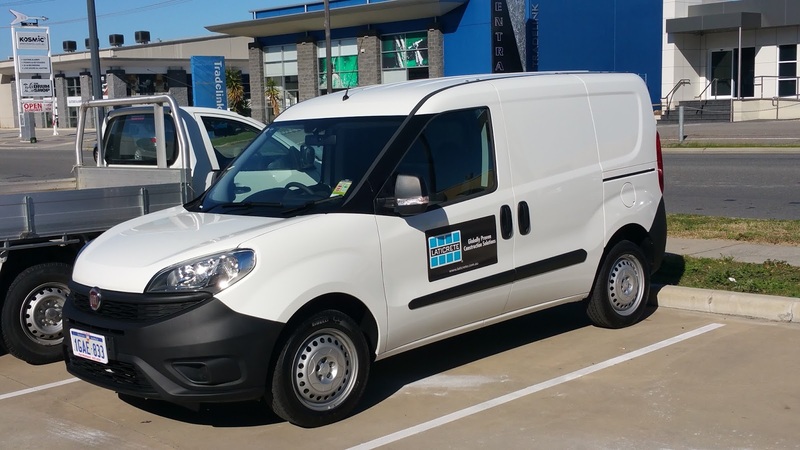 Check it out - Tilers Express WA have a new company vehicle and its decorated in LATICRETE style! 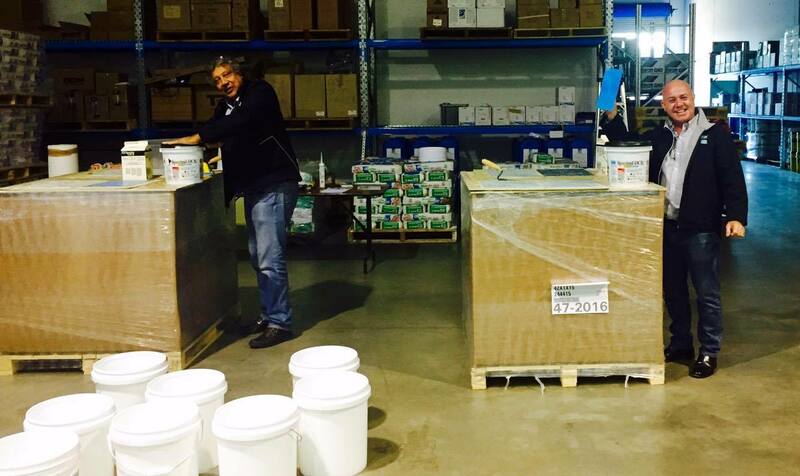 Head over to Tilers Express WA to get your LATICRETE materials - or call Aaron and the friendly team on (08) 6388 8988. Don't forget to enter the Tilers Express WA WIN an Apple® iPad® Competition exclusively to WA Installers! 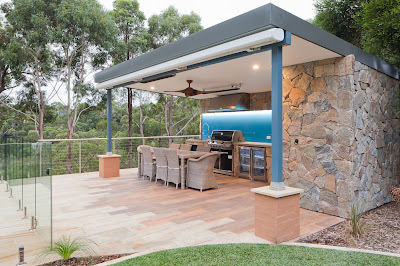 Our competition is open to Australia and New Zealand installers. Click here for more info, including the Terms & Conditions and how to Enter! Latest Issue of Discovering Stone is Out Now! MVIS™ full page advert, on Page 19. Sealer Selection Guide for 2016 - STONETECH®, on Page 60. 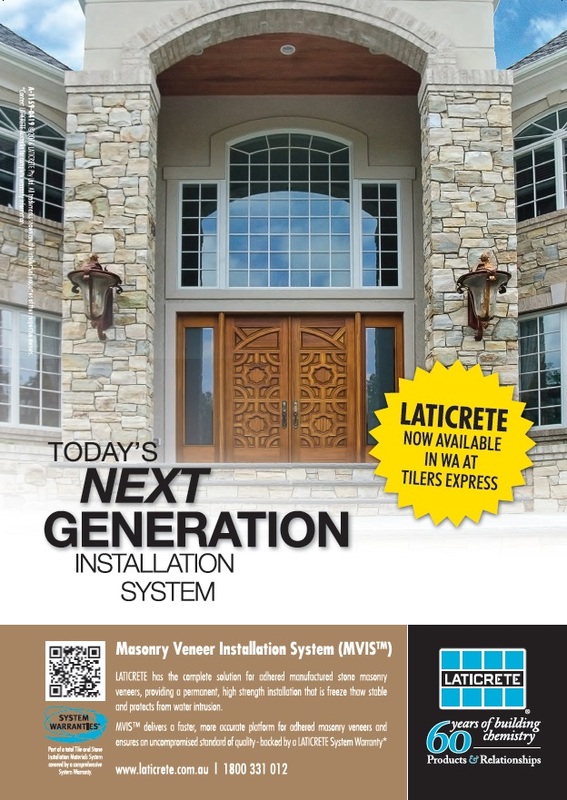 Product Feature - Masonry Veneer Mortar, on Page 72. 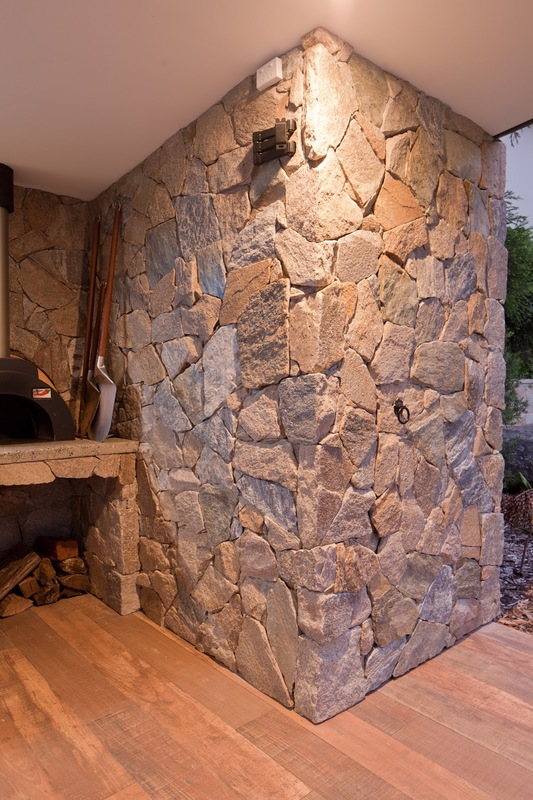 Product Feature - STONETECH, on Page 73. "The increase in popularity of adhered masonry veneer facades has found the industry wanting a suitably engineered installation system and detailed specifications. Utilising advanced Laticrete technologies, the Laticrete Masonry Veneer Installation System (MVIS) is designed to offer complete solutions for adhered masonry veneers ." Check out the product feature on Page 72. 4237 Latex Additive is a specially designed additive for use with 211 Crete Filler Powder to make a high strength latex thin bed and medium bed adhesive up to 15mm bed thickness. For installing all types of tile, stone and agglomerates. Guaranteed proven performance and increase productivity. Click here for more info. Last week installers in Western Australia were invited to attend a waterproofing and product training seminar hosted by Tilers Express WA. 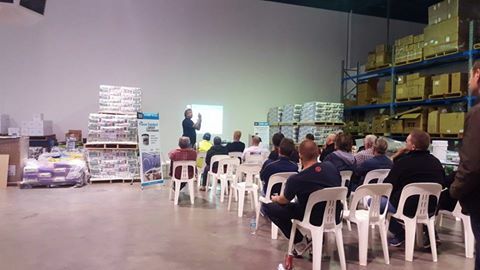 The seminar was presented by LATICRETE Technical Service Manager, Fred Gray and Neil Warden, LATICRETE Australia National Sales Manager. Just some of the important aspects Fred discussed was the new Australian standards for waterproofing. The attendees got to demonstrate and work with HYDRO BAN®. 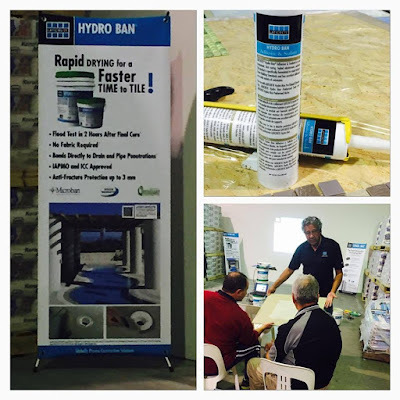 On the second day, attendees had the opportunity to participate in hands on demonstrations with SPECTRALOCK® PRO Grout. 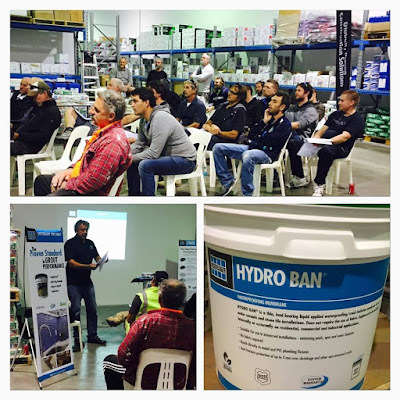 Call 1800 331 012 to find out more about our products, arrange training or a demo by contacting us here. Don't forget to enter the LATICRETE WIN an Apple® iPad® Competition exclusive to WA Installers!